Elliptical machines are pretty good when it comes to burning fat and toning core areas of the body. However not all of them are accessible as they may be either too expensive, or somewhat tricky to maintain and take care of. This is where the Gazelle Edge Glider comes in. Acting as a low cost alternative to elliptical machines, the Gazelle Edge Glider follows the same pattern of movement as an elliptical. The forwards and backwards motion of the foot pedals and handles is designed to mimic the feeling of cross-country skiing, creating a full body workout that an elliptical machine traditionally does. Both the upper body and the lower body are equally involved when you’re operating this machine, thereby improving your overall physique in the process. The low impact nature of the glider makes it a really great machine for aerobic exercises. If you’re looking to stock a home with the Gazelle Edge Glider, it is important to figure how well it contrasts with low budget elliptical machines and higher end elliptical machines in order to see if the investment is worth it or not. In this review, we’ll take a step by step look at the Gazelle Edge Glider to determine if it is worth spending your money on. The Gazelle Edge Glider comes at dimensions of 43” L x 28” W x 53.75” H respectively and an additional two to three feet of clearance will be needed in front of the machine whenever it is in use. The glider is compact in size and is also designed to save space which means that the machine won’t occupy any unnecessary area in your home. You can also fold it quickly after use and then tuck it someplace else once you are done. The portable nature of the Gazelle Edge Glider gives it an advantage over elliptical machines which are generally bigger in size. As for the construction, the glider comprises of a one and a half inch solid steel construction and is sturdy enough to accommodate maximum weights of up to 250 pounds. Although the Gazelle Edge Glider shares core traits with elliptical machines, it allows for a range of motion which is quite different than most other cardio equipment. The glider features a patented, dual-action split suspension which gives way for a complete and very healthy range of motion and freedom of movement whenever you are operating it. The glider also has a patented self-centering design which makes it possible for you to position yourself through 3 different planes of movement from which you can choose a neutral upright position. You can also either lean forwards or lean backwards; ultimately, whatever position you choose depends entirely on the muscle groups you want to target. A good thing about the Gazelle Edge Glider is that it is very low impact, which means that it substantially reduces stress on your ankles, knees, ligaments, and joints; making it much easier for them to recover quickly once the workout is over. 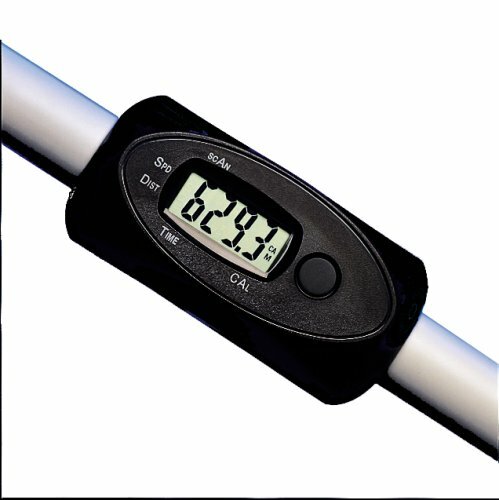 Although most treadmills and elliptical machines have relatively large displays for tracking readings, the little LCD display console on the Gazelle Edge Glider does more than a decent job. Through the readings in the display, you’ll be able to keep track of fundamental workout information such as number of calories burned, total time elapsed, total speed, and total distance covered. The design elements of the Gazelle Edge Glider are smart and ergonomically designed to enhance comfort. The foot platforms are extra wide in size and prevent skidding which makes it a lot more secure to operate the glider without fear of falling off. The handlebars too are padded with high density foam to increase comfort and ensure a stronger grip. In short, the Gazelle Edge Glider is so well designed that it makes it possible to go from slow walking to full on high intensity cardiovascular exercises without the machine stopping. Although it may lack in magnetic resistances, it is ultimately you who dictates and controls the intensity of your own workout. 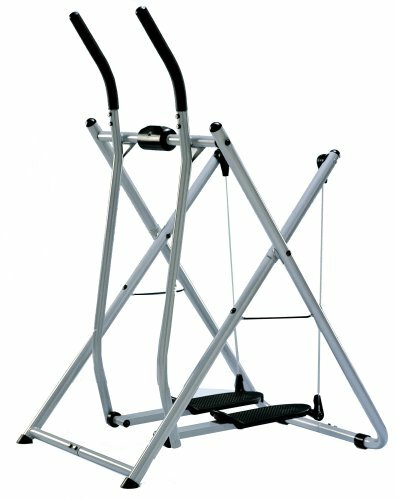 Although the Gazelle Edge Glider pales in comparison to better quality elliptical machines, the possibilities it can provide for its more than modest price tag makes this a pretty good buy if you want to have a reliable machine in your house that will allow you to take up cardio workouts and aerobic exercises. Based on customer reviews so far and its design, the Gazelle Edge Glider is an excellent choice for anyone looking for an effective fat burning workout, that’s also low impact. The Gazelle Edge can not only compete but actually be superior to cheap elliptical machines. However, it cannot replace a good quality elliptical. Still, the fact that it allows free movement for both upper and lower body makes this a formidable machine to own.